These stainless steer door striker covers are one of the hottest items around. They say it’s the little things that make the biggest difference – and I think this certainly qualifies. 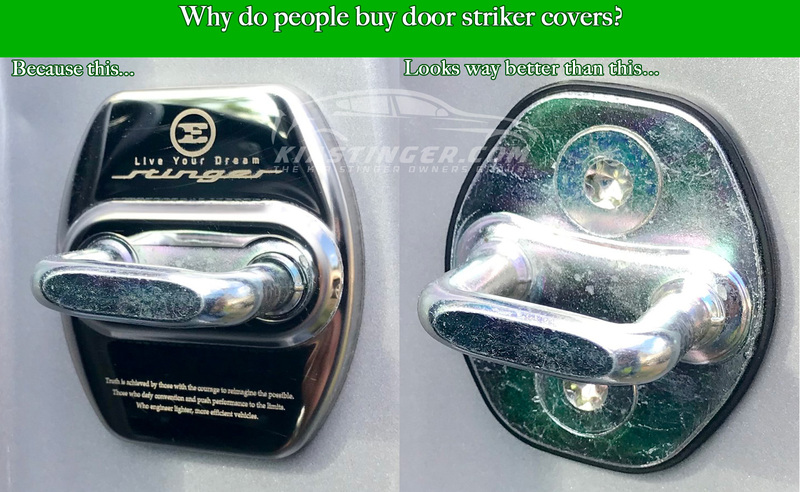 It’s not something you see often – but when you open the door – these door striker covers catch the eye. This is one of those “Lexusy” kind of things where when Lexus first started, they paid crazy attention to detail. For example, the inside of the door handles – on the inside of the car – were lined in felt. Why? Nobody ever looked there! And nobody cared what the inside of the door handles felt like! Until Lexus made them something to talk about.